Discover Inspire, a breakthrough sleep apnea treatment that works inside your body with your natural breathing process. No mask, no hose, no noise. 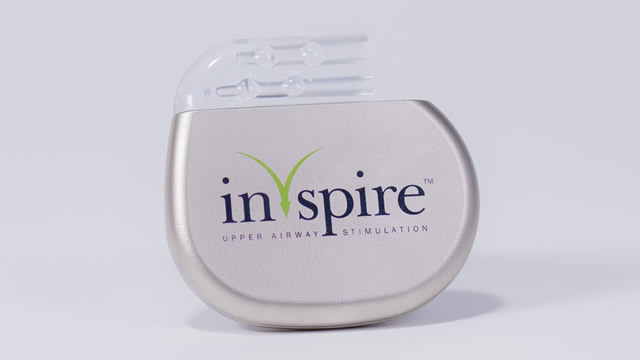 Inspire therapy is a breakthrough implantable treatment option for people with Obstructive Sleep Apnea who are unable to use or get consistent benefit from Continuous Positive Airway Pressure (CPAP). While you’re sleeping, Inspire monitors every breath you take. Based on your unique breathing patterns, the system delivers mild stimulation to the hypoglossal nerve which controls the movement of your tongue and other key airway muscles. By stimulating these muscles, the airway remains open during sleep. 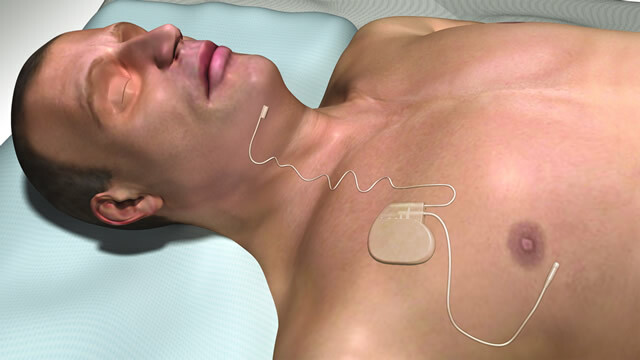 The Inspire obstructive sleep apnea device is controlled by a small handheld sleep remote. The remote allows you to turn Inspire therapy on before bed and off when you wake up, increase and decrease stimulation strength, and pause during the night if needed. Dr. Andrew Gould, a surgeon at Louisville-based Advanced ENT and Allergy, is set to implant a device in a patient on Monday. Company officials believe this to be the first such procedure performed in Kentucky. The treatment was approved by the U.S. Food and Drug Administration last summer.